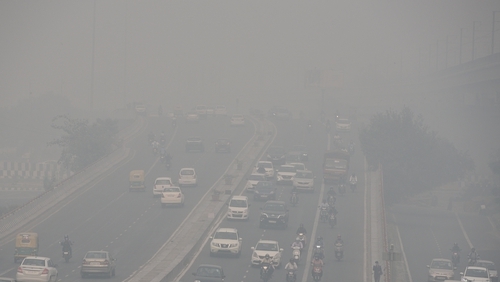 Air quality in India's north, including the capital New Delhi, deteriorated sharply yesterday because of unfavourable weather and an increase in smoke from stubble burning in fields across the region. That is nearly 24 times the recommended level set by the World Health Organisation. Local residents and tourists alike said they were feeling the ill-effects of the smog, complaining of difficulties in breathing and cutting back in outdoor activities. Adding to the fears, Indians will celebrate the festival of Diwali tomorrow, when many members of the majority Hindu community will set off celebratory firecrackers. The Supreme Court in October allowed the use of "green" firecrackers for Diwali to try to curb pollution. However, it was unclear how the rule would be enforced or whether there was such a thing as an environmentally-safe firework.